Cleaning and maintaining rooves on multi-unit residential buildings, such as apartment complexes, condos, and HOAs, will attract more potential tenants to your properties. Keeping your roofs clean will also improve the satisfaction levels of your current tenants and encourage them to sign up for future leases. Carrying out proper roof maintenance in time for spring, when many people look for apartments or renew their leases, will provide you with a return on your investment. Why Should You Clean and Maintain Your Roofs? Roof maintenance is essential, especially in older properties. Cleaning and maintaining your roofs might sound like a huge expense, but it could save you money in the long run. In fact, research shows that a roof maintenance program could save you up to 50 percent over 30 years when compared to replacing a roof every 15-20 years .Maintaining your roofs on a regular basis can also increase tenant satisfaction and result in fewer complaints. Dirty roofs, for example, can annoy tenants and prevent people from moving into a property.Extending your spring clean to service areas will also please current and prospective tenants and reduce the number of complaints you receive from people who live in your properties. 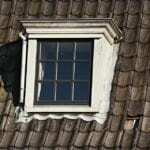 How Do You Clean Roofs Properly? Roofs are difficult and dangerous to clean. Attempting to clean roof surfaces yourself could result in a serious injury. This is why it’s a good idea to leave this job to the professionals. The best roof cleaning companies use pressure washing to clean your roof surfaces. This high-pressure water spray will remove grime, dirt, and dust on roofs and get rid of stubborn stains. 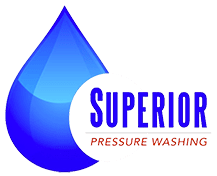 Who Are Superior Pressure Washing? Superior Pressure Washing specializes in pressure washing services and can clean your roof in a speedy timeframe with minimum disruption to your tenants. Rated No. 1 for pressure washing, this company prides itself on excellent customer service and value for money and will create a customized cleaning solution based on your business requirements and budget. It’s that simple.Cleaning your roof at this time of the year will improve the appearance of multi-unit residential buildings and increase tenant satisfaction. Looking for high-quality pressure washing in time for the spring? Click here to discover more.